If you want to watch Netflix Italia abroad (outside of Italy) you will need a VPN. However, very few VPNs work with Netflix Italia. We'll show you which do and how to use them to watch Netflix Italy from any country. Usually, when we talk about unblocking Netflix, we’re referring to US Netflix. The American catalog of shows does, after all, have the largest selection of newer TV shows. But other countries have their own exclusive content on Netflix as well. Italy’s Netflix catalog includes both international and local titles, including Amiche da Morire, Generazione 1000 Euro, and Reality. Netflix Italy also offers Italian subtitles and dubbing on much of its content, making it preferable for Italians traveling abroad. Users who attempt to watch Netflix Italia from outside of Italy will automatically be redirected to their current country’s version of Netflix. To access Netflix Italy, you’ll need an Italian IP address. An IP address is a unique identifier for your device that’s used to approximate your location. The best way to get an Italian IP address is to use a VPN. A Virtual Private Network encrypts all of a device’s internet traffic and routes it through an intermediary server in a location of your choosing. This masks your real IP address with the one used by the server, which in this case would be located in Italy. “Ops! Qualcosa è andato storto… Errore – streaming. Sembra che tu stia usando un unblocker o un proxy. Disattiva questi servizi e riprova. ExpressVPN Our top choice. Servers in Italy have no issues when unblocking Netflix Italia and pretty much all other streaming sites. Speeds are impressive and privacy and security are paramount. They include a 30-day money back guarantee. NordVPN Budget option. Servers in Italy are quite capable of unblocking Netflix at good speeds. Good privacy features. PrivateVPN Unblocks Netflix with ease but requires manual configuration on routers. Note that we tested these VPNs with Netflix in a web browser. We cannot guarantee they will work with the Netflix app on mobile or streaming media devices. 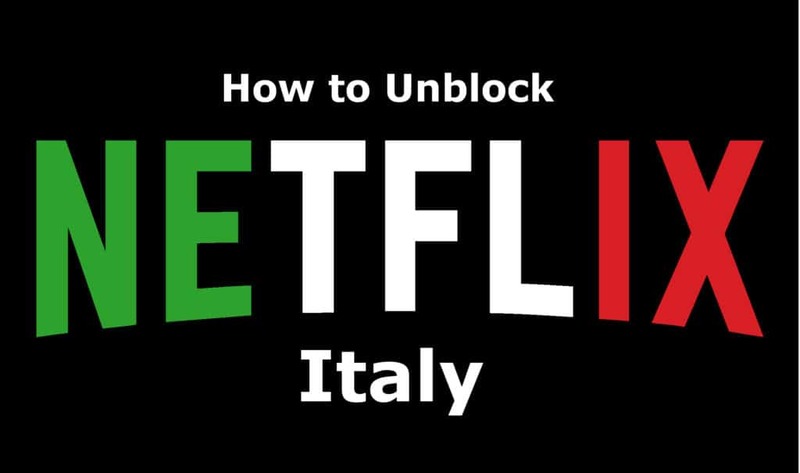 ExpressVPN recently added the ability to unblock Netflix Italy to an already long list of geo-locked sites and apps. Others include Netflix US, UK, Canada, Japan and France, BBC iPlayer, HBO, Amazon Prime Video, and Hulu. Just ask the live chat support which servers can unblock Netflix Italy, or just figure it out by trial and error (there are only two locations to choose from in Italy). ExpressVPN is fast enough to stream without buffering in high quality. Beyond unblocking, ExpressVPN is a great all-around provider. It offers robust security, a no-logs policy, and best-in-class leak protection. The company operates over 3,000 servers in 94 countries. Every subscription comes with the MediaStreamer smart DNS proxy service, which can unblock geo-locked sites on devices that don’t support VPNs, such as Apple TV and game consoles. You may connect up to three devices at once on a standard subscription. Apps are available for Windows, MacOS, iOS, Android, Amazon Fire TV, Linux, and certain wifi routers. BEST VPN FOR Netflix Italy:ExpressVPN is our number one choice. Reliably unblocks Netflix content from Italy with subtitles and dubbing. Also performs great with most streaming services while providing exceptional speeds for buffer-free HD viewing. Total security and privacy. Try it risk-free with the 30-day money back guarantee. NordVPN doesn’t list Italian Netflix in the list of countries where it can unblock the streaming service, but we were able to successfully connect and watch Italian Netflix from Canada in our testing. Nord operates 50 servers in Italy, and we were able to bypass the proxy error when connected to the most popular one (server load is indicated in the app). NordVPN also unblocks Netflix in the US, France, India, Netherlands, Germany, and Australia. Other streaming services, like HBO Now, BBC iPlayer, and Hulu can also be unblocked from outside their respective countries. NordVPN uses military-grade encryption to prevent hackers and your ISP from snooping on your activity. The company touts a true zero logs policy, meaning it doesn’t retain any information about how you use the service. A single subscription allows you to connect up to six simultaneous devices. Live customer support is available on the website. The servers are fast enough to ensure a seamless stream without buffering. BEST BUDGET VPN:NordVPN is a good value choice. A good all-rounder that works well with Netflix from Italy. Strong security features and allows up to 6 devices to be used simultaneously from one account. Includes 30-day money back guarantee. PrivateVPN, not to be confused with Private Internet Access, is a relatively young VPN provider that’s carving out a place for itself as a solid VPN that can unblock just about everything. That includes Italian Netflix, among other services. It has just two servers in Italy and about 100 in all. That’s a mere fraction of NordVPN’s 5,100+ servers, but in this case, it pays to stay low key and keep flying under Netflix’s radar. PrivateVPN performed well in our speed tests, offering enough bandwidth to stream Netflix in high definition. Strong encryption, a kill switch, DNS leak protection, a zero logs policy, and up to five simultaneous devices are all included in a normal subscription. GREAT SPEEDS:PrivateVPN is a good family choice for families that use multiple devices. Speeds were surprisingly good at this end of the market. Could do with having more servers and lacks 24/7 support. 30-day money back guarantee. 1. Download and install a VPN that works with Netflix Italia. We recommend ExpressVPN. 2. Run the VPN app and choose a server in Italy. ExpressVPN has two servers in Italy and at least one has always worked with Netflix Italia during our testing. 3. Clear your cookies and your browser cache. These can store location information from previous sessions. 4. Open Netflix Italia and start watching your favorite Italian shows and movies! Can I use a free VPN with Netflix Italy? Probably not. Even among paid VPN services, we only found three that successfully bypassed Netflix’s anti-proxy firewall. Free VPNs simply don’t have the resources to fight Netflix. We recommend avoiding free VPNs in general. They usually have a far more limited selection of servers, impose data caps, and restrict bandwidth. Many free VPNs make money by infringing on users’ privacy, injecting advertisements and tracking cookies into their browsers. Their browsing data is mined and sold to third-parties. Some free VPN apps even carry malware that can infect, damage, and/or steal from your device. There are many more VPNs that won’t work with Netflix, but you’re likely to come across these in your search. If you’re not sure, know that VPNs which can unblock Netflix are the exception rather than the rule. If you have a subscription with one of the VPN providers we’ve recommended above but still aren’t able to access Netflix, try the following steps. Log out of all Google accounts on the machine, including your Chrome account if you use it. Google caches IP addresses, which may reveal your actual location. Disable IPv6 on your device. This option can usually be found somewhere in your network settings. Change your device’s time zone to the provider’s service area and adjust the time to local time. For Italy, the time zones are UTC+1 and UTC+2. If you are connected to a wifi network and have access to the router, rename your Wifi network name (SSID), appending “”_nomap”” at the end (no quotes). This will opt your network out of Google’s geolocation services. You will need to reconnect your device to the new network in order to regain internet access. 9 Can I use a free VPN with Netflix Italy? 6 Can I use a free VPN with Netflix Italy?